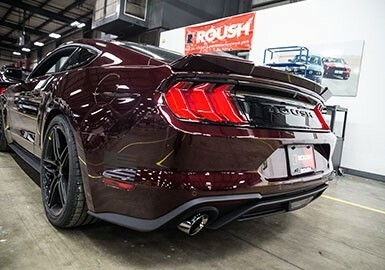 ROUSH’s Axle-Back Exhaust for the 2015-2019 I4 2.3L Ecoboost & V6 3.7L Mustangs is a great solution for anyone looking for a much more aggressive tone, and an overall better look! Ford’s engine choices for the 2015-2019 Mustangs offers a variety of high-performing, yet affordable & economic, options to suite any budget or sensibility. This would include the V6 & I4 engines, which perform well beyond what their cylinder count would imply. However, Ford’s stock exhaust doesn’t quite have the aggressive tone or sound Mustang owners crave; this is where ROUSH Performance comes in! ROUSH Performance has a specially engineered this exhaust that fits both the V6 3.7L and the I4 2.3L 2015-2019 Mustangs. 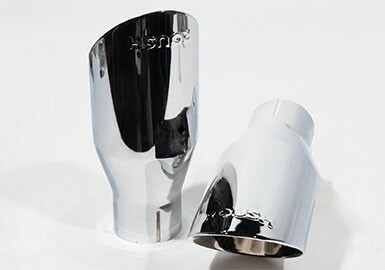 Constructed from T-304 stainless steel, this exhaust is corrosion and stain resistant. Mandrel bends help to maintain high flow and reduce backpressure constantly throughout. This exhaust uses factory mounting points and will fit both V6 and I4 Mustangs without requiring any modification or welding. 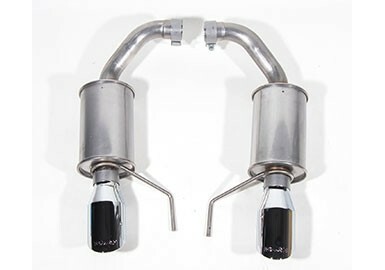 This exhaust system also greatly improves the sound and performance of your Mustang with single-tip high-flow chambered mufflers. 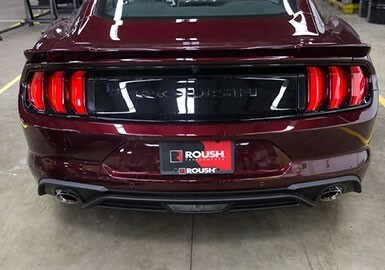 To finish off the exhaust, ROUSH also includes 2 brand new round dual-wall exhaust tips, which are chrome flashed for superior corrosion resistance and are embossed with the ROUSH logo. Included will also be all necessary hardware to install this system. Instructions can also be found under the “Installation” tab on this product page. 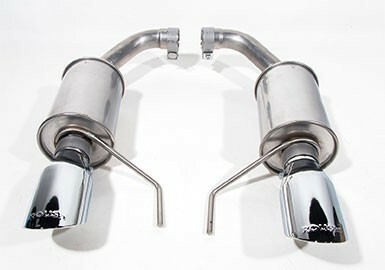 Are you a 2015-2019 I4 2.3L Mustang owner who’s looking to get the most power and most aggressive sound ROUSH can offer? 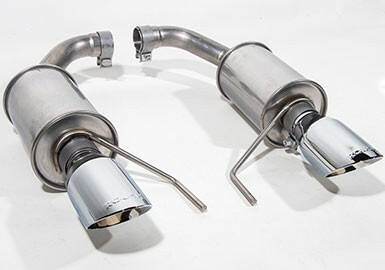 Take a look at our Level 2 Performance Pac, which includes this exhaust system!